Reframing the Curriculum is a practical, hands-on guide to weaving the concepts of healthy communities, democratic societies, and social justice into academic disciplines. Developed for future and practicing teachers, this volume is perfect for teacher education courses in instructional design, social foundations, and general education, as well as for study in professional learning communities. The author outlines the philosophies, movements, and narratives shaping the future, both in and out of classrooms, and then challenges readers to consider the larger story and respond with curriculum makeovers that engage students in solving problems in their schools, communities, and the larger world. 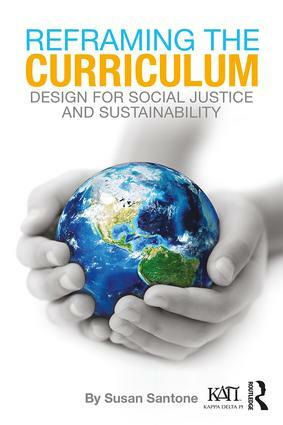 The book’s proven method for designing units gives educators across grades and disciplines the tools to bring sustainability and social justice into experiential, project-based instructional approaches. Specific examples and templates that offer readers a framework for reworking their unitsand courses while meeting required standards and incorporating innovative classroom practices. Activities and discussion questions that bring the content to life and establish ties with the curriculum. eResources, including a Facilitator’s Guide, offering examples of fully developed units created with this model and an editable template for redesigning existing units. What’s at Stake in Our Curriculum? What’s the Story We Want for Our Teaching?